We have noticed that many families and couples get good travel and accommodation packages inside Kerala from online and offline agents, but do not get best flight ticket fares to Kerala. So they end up in travelling to other destination even out of the country like Thailand or Srilanka. Many tourists in India and abroad wish to see Kerala but could not materialize their trip due to high to and fro flight fares. In this article I would like to share some information about taking flight tickets to Kerala and how to get cheap fares too. 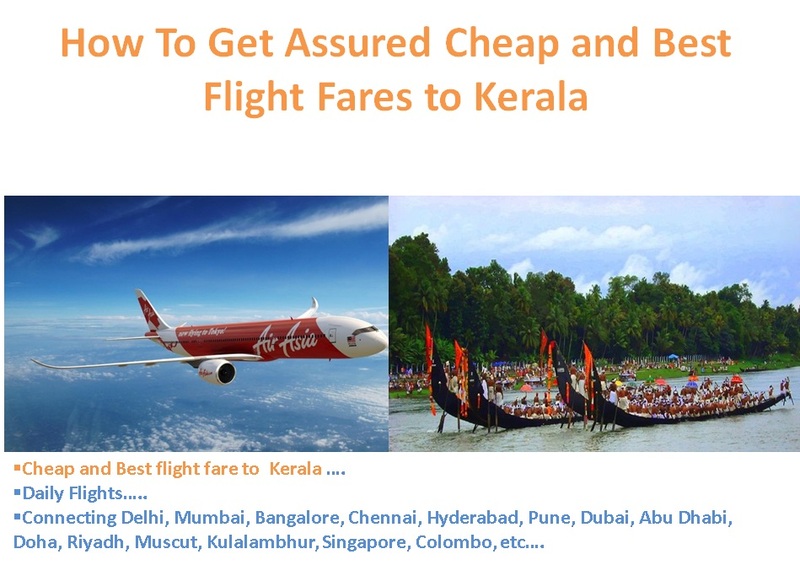 Moreover I am giving the link to get cheapest Air tickets to Kochi from different destinations from India and abroad. * Try to book flight tickets at least before 1 month. * Flight fares to Kochi remain high during Diwali, Onam, X mas and New Year, Ramzan and Pongal holidays. * Usually domestic direct flights would be cheap after 10 pm departure or early morning departure. * For International travelers through Gulf region, flight fares would be peak during Ramzan holidays and School re opening time in September. So either book your tickets 6 months prior or avoid journey during these days or try to get connection flights via Mumbai or Bangalore. *Try the following link provided by jumborooms.com to book your flight tickets. We assure at least Rs. 100 difference for all flight tickets (for early bookings only) that you can get online. Cheap flight tickets to Kochi (Kerala) from Pune.